2018 Yamaha AR 240, 2018 Yamaha AR240, Twin 1.8HO Yamaha Engines, Includes Galvanized Trailer. All service has been done by Yamaha and all service records are available. Engines use regular gas. Seller reports all systems in working order. The boat needs a good beginning of the season pressure washing, waxing and detail. Seller reports engines under warranty till 2020. Stock #168388 2015 Yahama AR240 Jet Boat, includes Trailer, Sports Arch, Bimini Top! 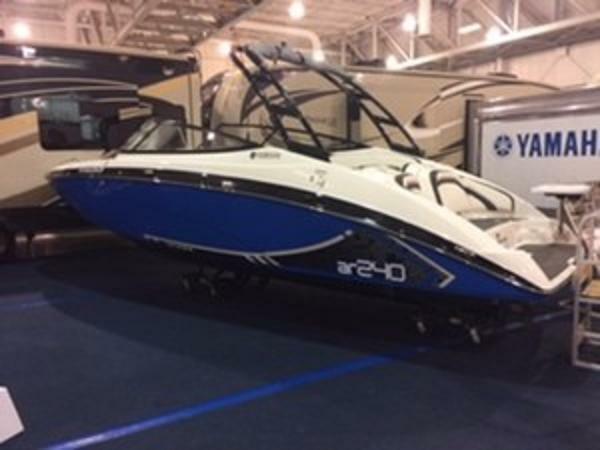 If you are in the market for a jet boat, look no further than this 2015 Yamaha AR 240 HO, just reduced to $44,900 (offers encouraged). This boat is located in Yulee, Florida and is in good condition. She is also equipped with twin Yamaha engines that have only 42 hours. Reason for selling is moving to center consile. 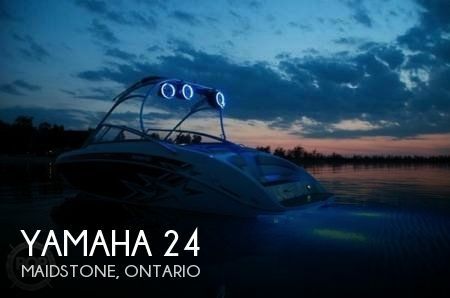 This 2014 Yamaha 240 AR High Output is in excellent condition! 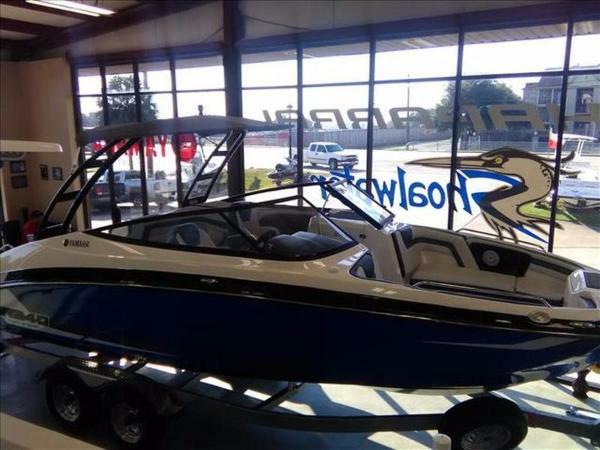 She is ready for many hours of fun on the water with family and friends! Hook up the tandem axle trailer and take her to all of your favorite spots! Stock #127334 Like new without the cost of a new one. Great shape! 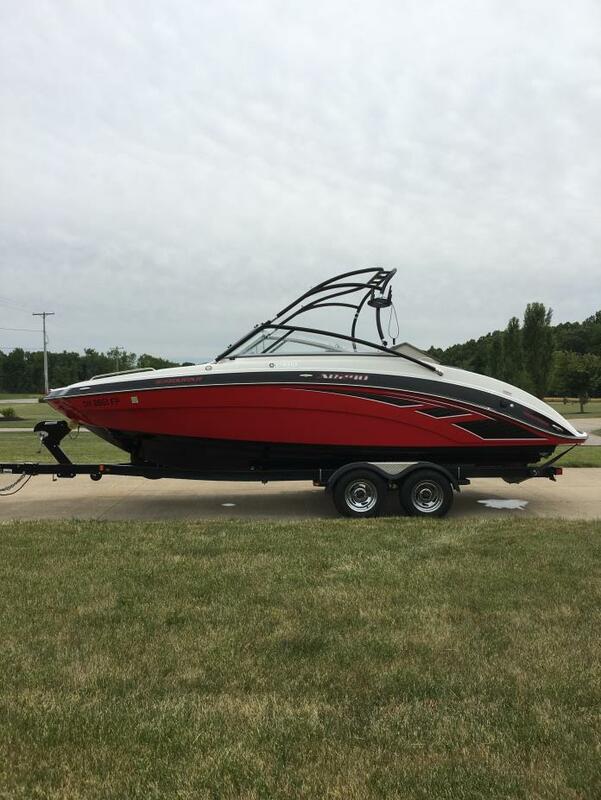 If you are in the market for a jet boat, look no further than this 2014 Yamaha AR 240 HO, just reduced to $41,000 (offers encouraged). 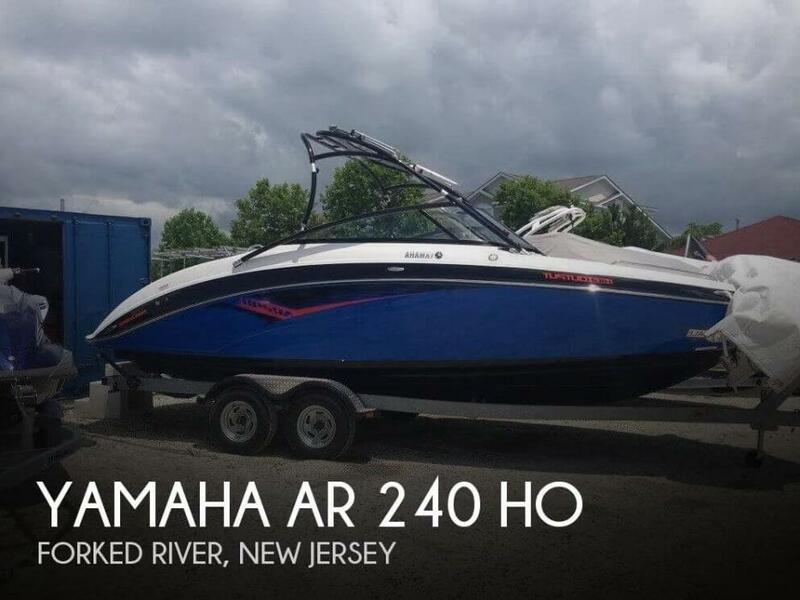 This boat is located in Forked River, New Jersey and is in great condition. She is also equipped with twin Yamaha engines that have only 60 hours. The overall condition of this Yamaha was very good. Seller states everything works and it is ready for the season. Don't waste your time and money on a new one. This boat will fit the bill. Well worth your time! 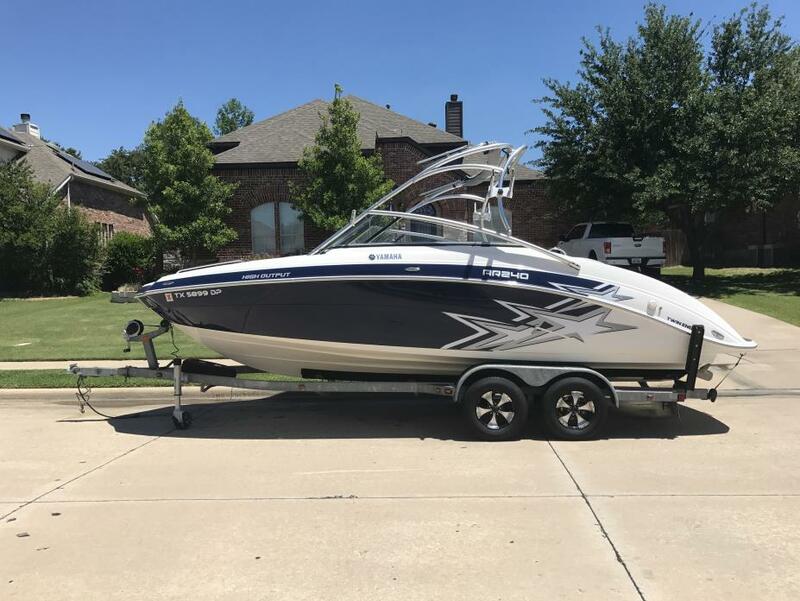 Stock #173965 2014 YAMAHA AR240 4 STROKE JUST 119 HOURS TRAILER INCLUDED If you are in the market for a jet boat, look no further than this 2014 Yamaha AR240, priced right at $48,900 (offers encouraged). 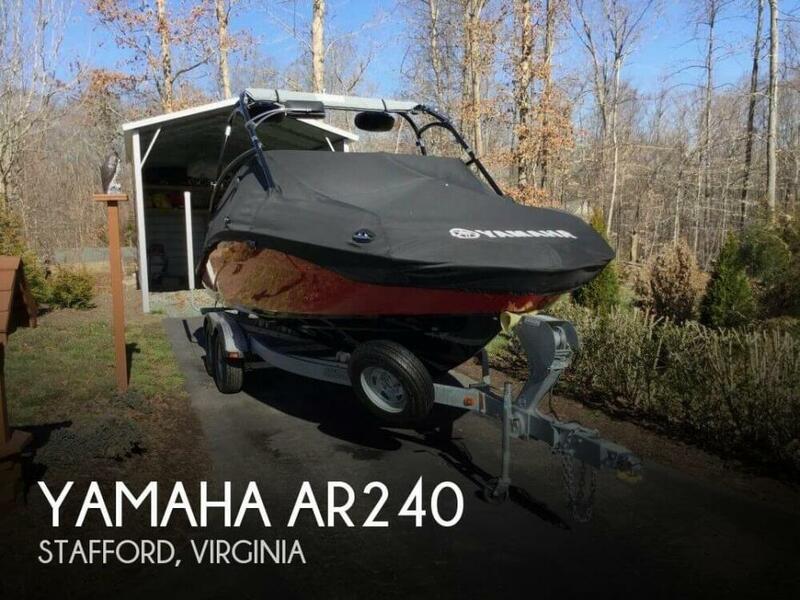 This boat is located in Stafford, Virginia and is in great condition. She is also equipped with twin Yamaha engines that have only 119 hours. Per the seller, everything on this boat is in excellent working order, functioning precisely as designed. New Yamaha travel cover 9/2018. Buffed and waxed 9/2018. New spare tire for trailer Dealer maintained, serviced and kept in heated storage since new. 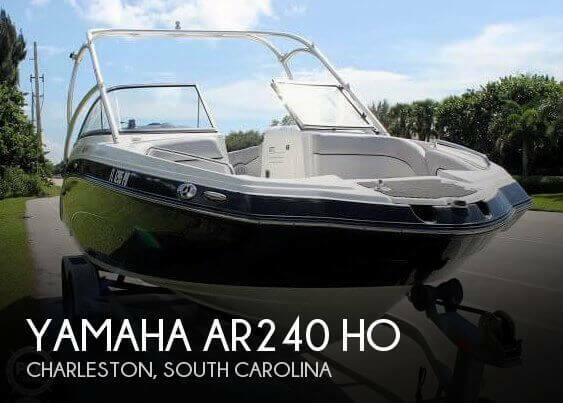 Stock #159051 ++Pristine Yamaha AR 240 High Output -- Low low hours -- impeccably maintained -- ready for the NEXT ADVENTURE++ If you are in the market for a jet boat, look no further than this 2010 Yamaha AR 240 HO, priced right at $44,500 (offers encouraged). 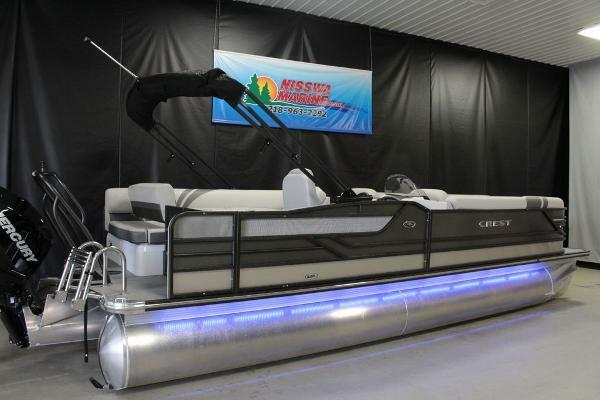 This boat is located in Maidstone, Ontario and is in great condition. She is also equipped with twin Yamaha engines that have only 141 hours. Reason for selling is not using enough. Seller has kept up with this one over the years. This boat has been very well maintained and always stored with care. It is in great condition. She is turnkey and ready to go. The engine is mechanically sound. Services were provided when needed. Come see if this is for you! Stock #103045 Seller now considering all reasonable offers!! ALL FRESH WATER USE!!! TRAILER INCLUDED!! LOW HOUTS ON YAMAHA ENGINE! 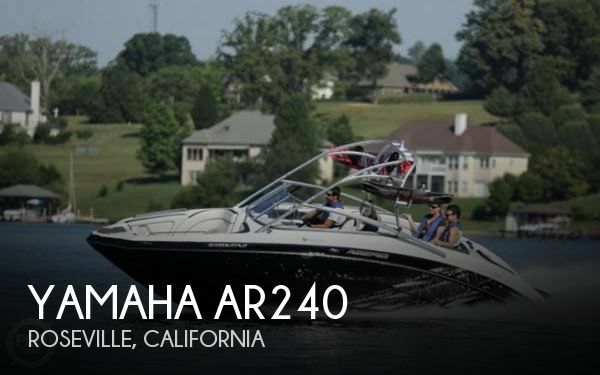 If you are in the market for a bowrider, look no further than this 2012 Yamaha AR 240, just reduced to $50,000 (offers encouraged). 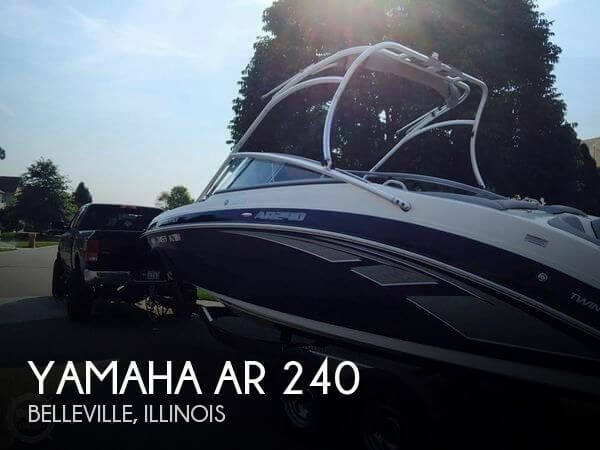 This boat is located in Belleville, Illinois and is in great condition. She is also equipped with twin Yamaha engines that have only 100 hours. 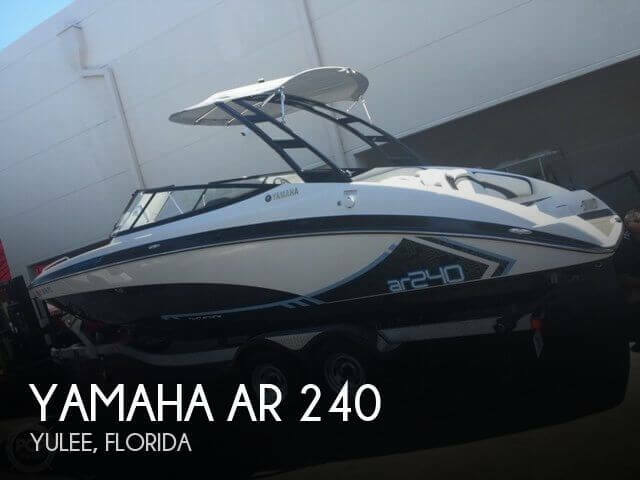 Reason for selling is not using the way they would like..
2017 Yamaha AR240, 2017 Yamaha AR240, In-Stock, White Hull Color, Warranty & Trailer Included.Financing Available. Trades Accepted. Call us or send an inquiry to get more info. 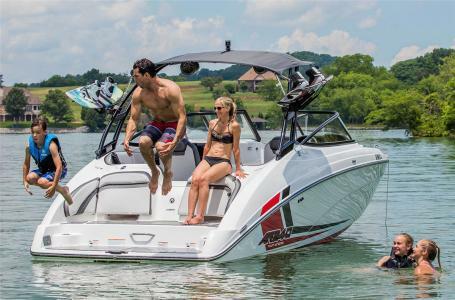 Every New and Used boat is put through a series of checks and inspections to prepare your boat for the water. This is a crucial step in insuring that you will enjoy your new purchase to the fullest. Information is subject to errors and changes without notice.